Although often overlooked, the architecture museum has arguably become one of the most significant instruments in architecture’s disciplinary apparatus. By collecting archives, producing exhibitions, funding publications, organizing lectures and discussions, and even commissioning work, architecture museums have furthered discourse and practice since their inception in the early nineteenth-century. 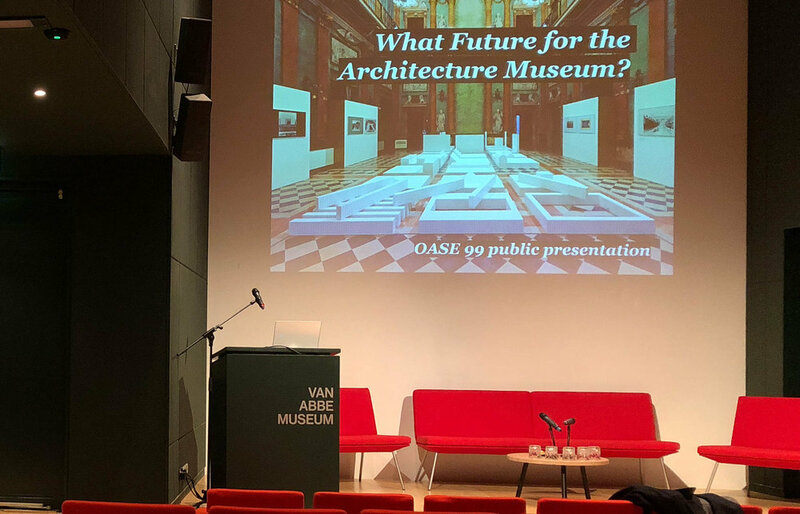 OASE 99: The Architecture Museum Effect considers the changing societal, cultural, economic, and museographical context in order to reflect on the current and future agency of these institutions. A discussion which was approached both through historical and contemporary perspectives to establish a working understanding of architecture museums as crucial nodes in architecture’s cultural and societal apparatus. The public presentation of OASE 99 extended the issue’s ambitions through a panel discussion with some of its authors, providing particular insights into different institutions as well as to the three levels that organize the journals’ contributions: the specific (“micro”), the broad (“macro”), and the abstract (“meta”). 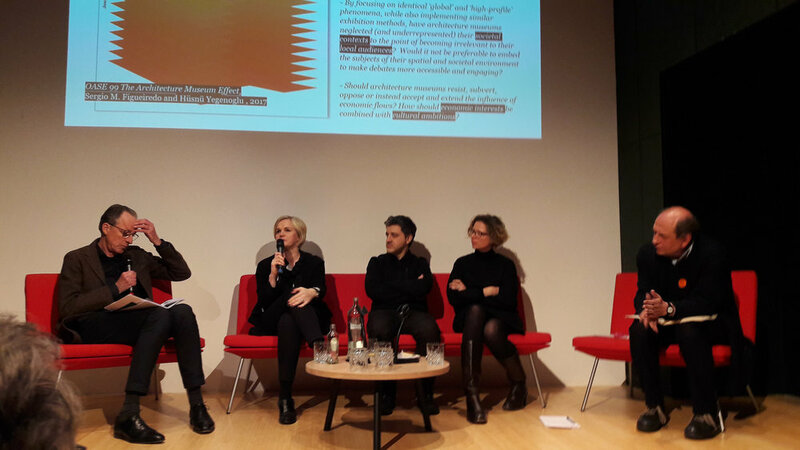 The conversation with Mirko Zardini, Sofie de Caigny, Triin Ojari, and Ömer Kanipak not only uncovered present issues but also addressed future challenges.